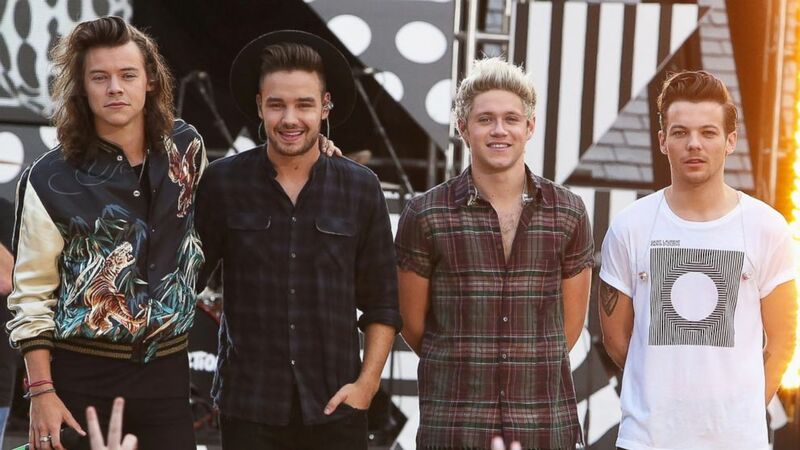 Super boy band One Direction filmed the video for “Drag Me Down” at NASA. camera (Al Pereira/Getty Images) One Direction is pictured performing on ABC's "Good Morning America" in Central Park on Aug. 4, 2015 in New York City. One Direction’s new music video for their song “Drag Me Down” takes the super boy band toward a whole new world: space. Harry Styles, Niall Horan, Louis Tomlinson and Liam Payne are wearing actual NASA space suits for the video that was shot at the agency’s Johnson Space Center Houston in Houston. Filming took place around the NASA T-38 aircraft jets that are used by astronauts to train for spaceflight, and the NASA WB-57 high altitude research aircraft, a specialized aircraft that is used for high atmosphere research work. Viewers got a first look at the music video in an exclusive television broadcast Friday on “Good Morning America.” The band released the video online as a surprise for fans overnight last night. In the video –- which is a first for NASA –- Payne trains inside the replica of the International Space Station replica, while Tomlinson drives a Space Exploration Vehicle, a type of rover that could be used to explore the surface of Mars. Horan was filmed on the partial gravity simulator, and Styles met Robonaut, a model of the human-like robot that is now aboard the International Space Station. One Direction also filmed in a full scale replica of the Orion spacecraft, NASA’s vehicle in development for crewed missions to deep space.